Elevation Gain: See the chart below. 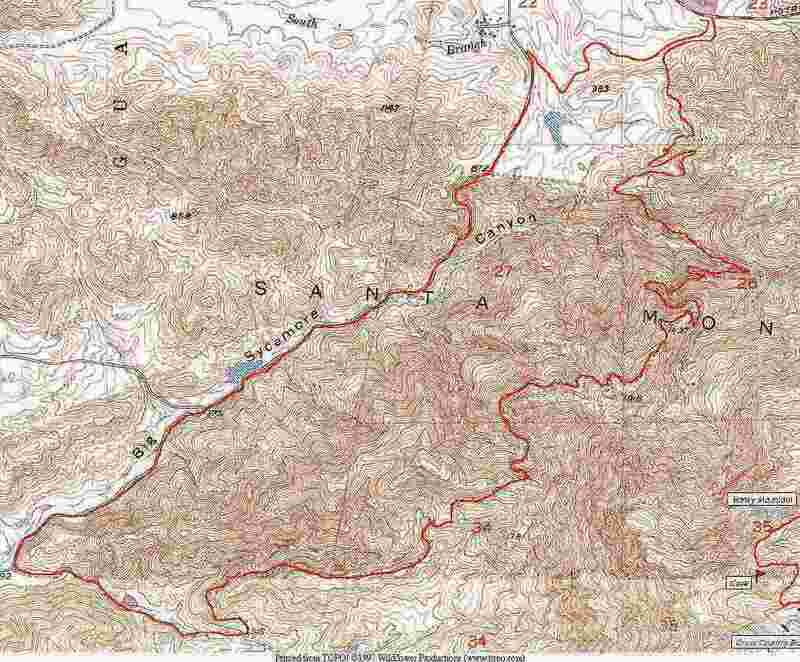 The numbers are suspect due to the fact I could not follow the contour lines perfectly. Use the profile chart as a guide to relative steepness. Comments: When I first started running this trail a Hand pruner with you so we can keep the trail clear was a good idea. Horseback riders have since found this trail and have widened it. This trail rarely sees trail work so be prepared for a less groomed and a rockier trail. Actually this trail is below the Boney Mountain with some great views of the rock formations. I ran this trail so I finished up at sunset. The colors of the rocks that are facing west in the setting sun took on a whole new spectacular view. -Use of this trail by horses have widened it in sections. -Found a Salvadora Hexalepis (Western Patch-nosed snake). This is a rare find in these mountains. 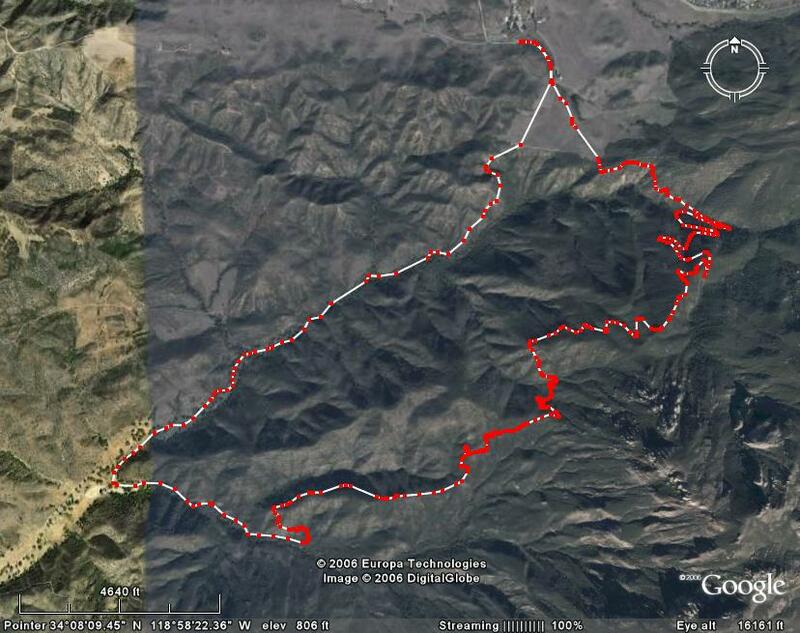 -Contacted Y2K command center at work on 1/2/00 via radio phone on an extended run on this trail through Serrano Canyon. -Lead runner in Coyote Four Play race getting lost at the Fossil Trail junction. ..... ..... Many more runs. Too labor intensive to keep track at this point. Variations: Instead of taking the Boney Trail hairpin right turn, continue to the cabin site and Danielson Grave site .2 miles. Then take the trail to the top of Boney Mountain, up 1:13 walk and run; down :46 bonzia commando run. Note: Quality of the image below is compromised for fast downloads.